Over the years I’ve been pretty tough on BOBBY FLAY. Don’t get my wrong, BOBBY’S a good chef and even better TV personality, but until GATO there was no aha moment for me at any of Bobby’s restaurants. GATO represents years of experience and refined tastes into a truly exciting dining experience. 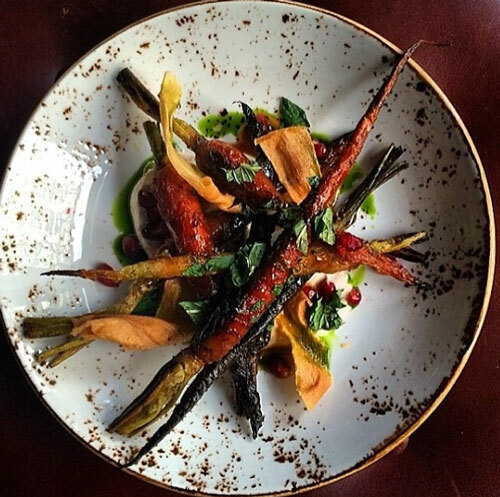 Everything on GATO’s menu is worth a try, but you must order the CHARRED CARROTS with PARSNIP CHIPS + HARISSA + MINT — truly next level!